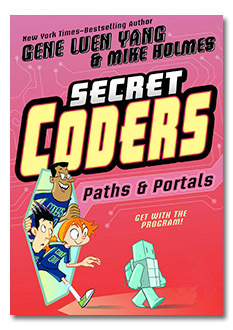 I was excited to get the second volume of Secret Coders by Gene Luen Yang and Mike Holmes, titled Paths & Portals (First Second, 2016). This graphic novel series follows a young girl, Hopper, as she learns about computer programming with her friends Eni and Josh. They are secret coders because they learn not in a class but from the janitor of their private school, who turns out to have a secret past as a teacher. The story has Yang's characteristic qualities of humor, insightful observations of social dynamics in school and family, and careful attention to both the incidental and critical aspects of race amongst friends and acquaintances. As Hopper and her friends learn about programming by writing LOGO programs for robot turtles that Mr. Bee, the janitor, has made, she also deals with her mother, who is the Mandarin Chinese teacher at her school; Principal Dean, who is up to something; and the bullying male rugby players at the school, who are the principal's henchmen. I love the adventure of this series, and as Yang has written about, there is also an explicit attention to teaching readers about computer programming in a fun way. As Hopper, Eni, and Josh are confronted with puzzles such as how to program one of the turtle robots to walk along a pattern on the floor, they think through their process and then explain their solution. The narrative also pauses to ask readers to think about how they would solve the programming puzzles before proceeding with a solution. 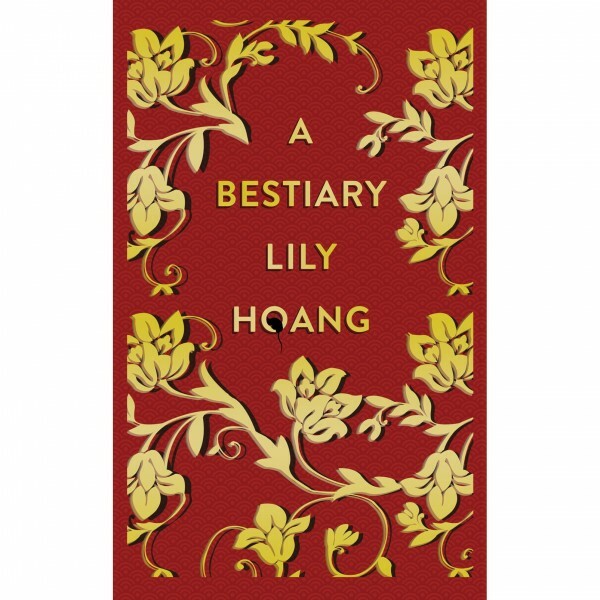 See stephenhongsohn's review of the first volume in an earlier post here at asianamlitfans. 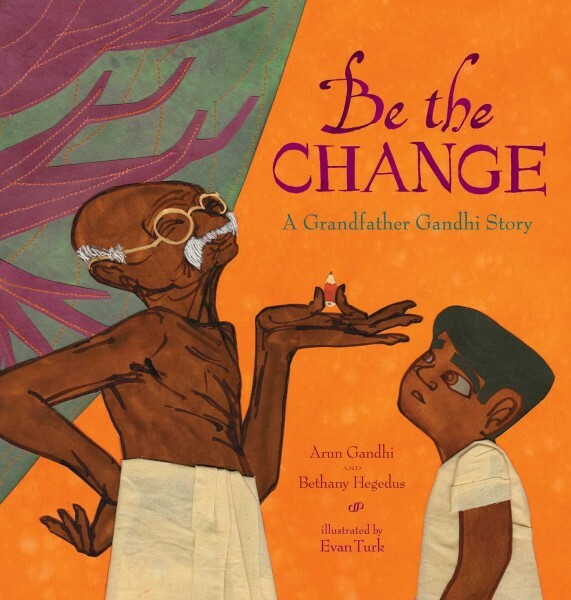 Arun Gandhi and Bethany Hegedus's Be the Change: A Grandfather Gandhi Story (Atheneum Books for Young Readers, 2016), with illustrations by Evan Turk, is an autobiographical story of Arun Gandhi's experiences with his grandfather, Mahatma Gandhi, in an ashram (or service village). The illustrations are beautiful, richly textured through bright colors and materials. Hegedus explains in a note at the end of the book that she heard Arun Gandhi speak in the months after the attacks of September 11, 2001 on the World Trade Center and knew that she wanted to work with him to tell his stories of his grandfather to bring hope back into the world. Be the Change is the second book in this series so far, and in it, Arun recounts how his grandfather's sense of nonviolence extended to being vigilant against waste or extravagance. As a youth, he did not understand how an act such as keeping a pencil worn down to its last few centimeters could be an important action in reducing violence in the world. But his father persisted in explaining, and over time, Arun understood how his every act has consequences that may be distant but nevertheless important in spreading peace and abundance for everyone. Although this book takes the form a picture book, its story seems more appropriate for a slightly older child (the publisher notes K-3 as appropriate grade levels for readers), and the moral of the story is both simple (be the change) and layered (suggesting large scale things like the industries involved in making a pencil). 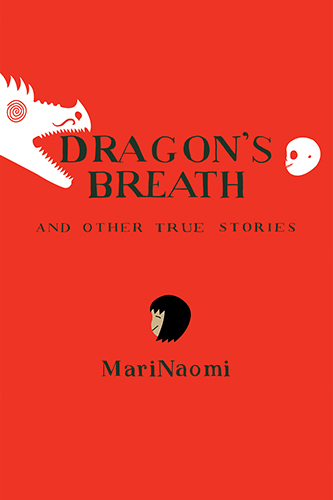 While her earlier memoir, Kiss and Tell, focused on relationship and sexual encounters, Dragon's Breath and Other True Stories is more eclectic, ranging from childhood memories about family (revised in adult hindsight) to transitory though impactful encounters in adulthood. Often, these true stories end in the observation that the author does not know what became of a certain person--sometimes intimates and other times just casual acquaintances or even passersby--but these are people and encounters that have stayed with her and formed the canvas of her perceptions of the world. You can find some excerpts of the book at Study Group Comics. The first piece in the excerpt, "Mr. Vanoni," is about a high school teacher whose lecture style was uninspiring but who occasionally took a lizard out of his terrarium and rubbed his belly until he fell asleep. This observation then unfolds into noting that another, more charismatic teacher died of AIDS that year and had a section of the yearbook dedicated to him while Mr. Vanoni, who also died unexpectedly that year, received a small portion of a page in comparison. The piece is disarming in its brevity and simplicty, but in the final panel, with a finger petting a lizard and the words, "REST IN PEACE, MR. VANONI," MariNaomi rectifies this imbalance in memorialization of the two teachers, suggesting that even the quiet people of this world deserve some attention, loving, and care. All in all, MariNaomi demonstrates how much she is an important observer of the world around us by showing us little moments full of both pain and possibility. See also stephenhongsohn's earlier review of Dragon's Breath. 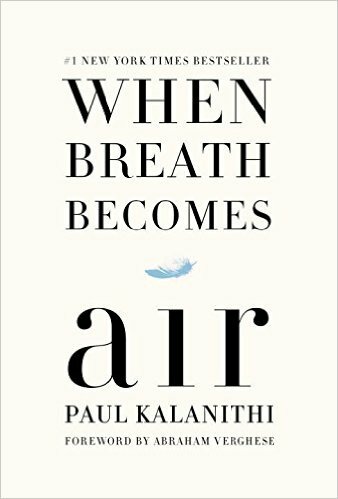 In his meditative memoir When Breath Becomes Air (Random House, 2016), Paul Kalanithi examines his life's striving for meaning, experiences, and an understanding of identity and death. Although there are certainly a number of other excellent writers who are doctors with whom we might compare Kalanithi's brief volume (such as Abraham Verghese, who provides a foreword to the memoir, or Sanjay Gupta, whom Kalanithi references in his book), I found that Kalanithi's perspective called to mind most readily Vikram Chandra's Geek Sublime: Writing Fiction, Coding Software, another memoir in which novelist Chandra explores his experiences and perspective as a software engineer on his sense of narrative and fiction writing. In both Kalanithi and Chandra's memoirs, there is a deep sense of expertise and embeddedness in the vocabulary of a distinctly nonliterary worldview that nevertheless comes along with a deep love of literature, metaphor, and the cadences of poetic lines. Indeed, Kalanithi recounts in the first half of the book how he studied both literature and biology as a double major in college, pursuing a master's in literature as well before turning an undivided attention to medicine for the next decade of his life. For him, literature is what makes meaning of experiences in people's lives; still, he felt an urgent need also to have those experiences, to dive into the stuff of life more than simply reflect upon it and come to deeper understandings. As he found himself drawn to medicine, Kalanithi settled into neurosurgery as the specialization that best encapsulated his sense of how science and modern technology seeks to make sense of the sublime emergence of identity and meaning from the very material substance of the brain. There is a little something too neat in his retrospective narration of his career trajectory.... but clearly this was the experience of a young man who knew what he wanted to do at each step of his life, even if longer term goals were not always immediately apparent. These are lines not meant simply to convey a thought but also to reach for that ineffable power of poetic language, strings of words that mean more than what they say. Additionally, Kalanithi ruminates on the origins and valences of significant words that he uses—patient and disaster, for instance—along with careful framing of his words with literary epigraphs and references to canonical works of English literature (T.S. Eliot's The Waste Land makes a few appearances, for example). "All you have to do," I said, "is look me in the eye and say, 'I'm sorry. What happened was my fault, and I won't let it happen again.'" This ability to accept responsibility for mistakes was at the core of Kalanithi's conception of the good doctor. It is not enough to be an excellent technician or even to have the best bedside manner if doctors cannot deal with the fact that they themselves will slip up, and those mistakes will lead to serious consequences and death for some of their patients. See also stephenhongsohn's review of Kalanithi's memoir.